Digital signature. How and why? Articles Digital signature. How and why? On October 29, 1969, the first connection between two remote computers took place and this was the beginning of the Internet. This brings us to the world we know it today. But what about the electronic signature? With technology advances, a significant part of the right is redirected to the virtual environment, and so the electronic document is copied. What is an electronic document? In short, the electronic document allows me to declare my will to others without being faced with them. Besides, I can create as many copies as I want in seconds. What do I need an electronic document for? I submit a tax return to the NRA via the Internet to declare what income I have made - but I declare incorrect data but I have a criminal responsibility (because the electronic document is official). There are also problems like this - everyone could fill in my data on my earnings. Or find a way to change this knowledge without my knowledge. A document that is not protected against edits is vulnerable to interference. It is enough to be opened with Word and can now be modified. How can I prevent someone else from changing my documents and at the same time from verifying that I have created them? The electronic signature is the means that only the ability to write electronic documents on my own behalf provides me with the opportunity. To obtain such a signature, you must first choose a Certification Services Provider. I have to make a written request to him that I want an electronic signature to be given to me, and I need to mention which type to be. There are two main types - a sophisticated and qualified electronic signature. The procedure ends with the issuance of a certificate for the relevant signature type, which is published in the supplier's register. This certificate is an expression of the relationship between the signature and the person to whom it was issued. Types of electronic signatures. What do you need? Improved - I will be given on the occasion of my profession or for the purpose of verifying the fact that I am doing a certain statement of intent. The important thing is that I have the right to choose which activities I trust in the electronic signature. The idea is to guarantee my identity to the people I associate with. It is also issued to legal entities. 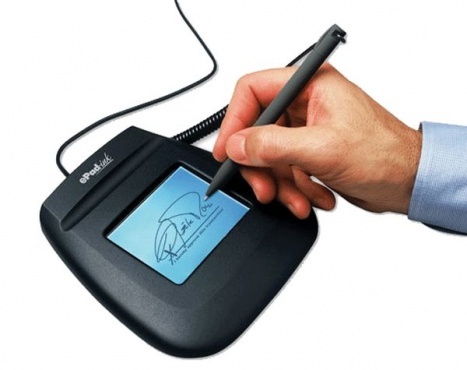 Enhanced electronic signature has a weaker certification power compared to other types. As a rule, he does not have the meaning of a handwritten signature, but I can speak the opposite of the people I correspond with. Attention! For the advanced electronic signature there is no legal requirement to be issued via a secure device. It can therefore be provided to me by e-mail or other appropriate means. Qualified - has the meaning of a handwritten signature for everyone. This kind of signature is needed when I make wishes to state authorities. Qualified electronic signature is also issued to legal entities. In order to guarantee the identity between me and the person who uses the signature, the qualified electronic signature can only be issued to me by a device (smart card and card reader). The compliance of this device with the legal requirements is certified by persons accredited by the Executive Agency "Bulgarian Accreditation Service". On her web page, I can find a list of devices that are certified to issue a qualified digital signature. Others - more server certificates, data files, program code files, music files, etc. are issued. The purpose is to indicate by signing their affiliation to a particular person, as well as their reliability. Attention! The date of the electronic signature can be manipulated in an easy way - with the back of the calendar on the computer. I have to take this fact into account if there are doubts about the correctness of the date mentioned in the document itself. Digital signature. How and why? Digital signature. How and why?